I did not hate Final Fantasy XIII. My final impressions were how I felt upon completion of the game. Although I don't think the game is worth the 45 hour commitment, there were still a few things I enjoyed about it. The best part of the game took place when the whole crew - 6 characters - were divided up into teams of 2 in separate areas. There are 6 total jobs that the characters can have and they can only equip one at a time. For this part of the game each character was limited to 3 jobs total and each team had overlap in their jobs. This meant that in every team there was a job or two completely missing and only 2 jobs could be used at any given time. Why was this my favorite part of the game? Because I had to think. Unlike my overpowered set-ups of 3 people with the perfect jobs in the late game I had to make sacrifices and make do with what the game gave me. It was much more challenging and involved juggling jobs and set-ups to find something that would work. Once I found something that would work I would very soon run into a fight where it wouldn't work any longer and have to go back to the drawing board. This was fun! When actual combat involves mashing the A button and having the characters automatically do the best action the fun moves away from combat and towards the drawing board. I got to create, scrape together, barely make it through, and innovate. I had a blast! Then the characters met up again. I could pick anyone with the jobs I wanted and put them into a team of 3 to power my way through the rest of the game. I quickly grew bored. 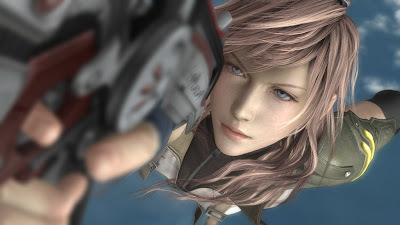 I wish FFXIII had continued the trend of not having the right people/jobs all the time. I would have stayed engaged much longer. I don't know how you managed to beat it? I got sick of it after about 5 hours. I played it in small sessions. Anything longer then 2 hours and my mind started to go numb.